It's always been difficult for me to find jackets and coats that really fit. 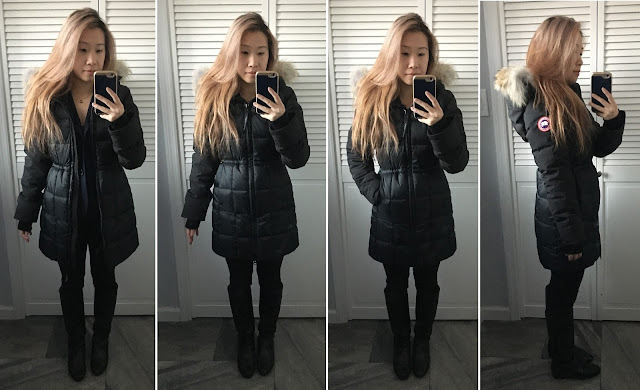 My first winter coat purchase that I absolutely love and fit right off the rack is from the brand Salad in Hong Kong, which is unfortunately not accessible here so I always look forward to my business trips over there. I don't know if I'll ever be lucky enough to find something like this again so I'm really hoping this coat will last. This above photo was actually taken on Tuesday and it was the first time it actually snowed and stuck in New York. I'm super bundled up here with a thick vest, light jacket, and tank top underneath to protect myself from the chilly weather. 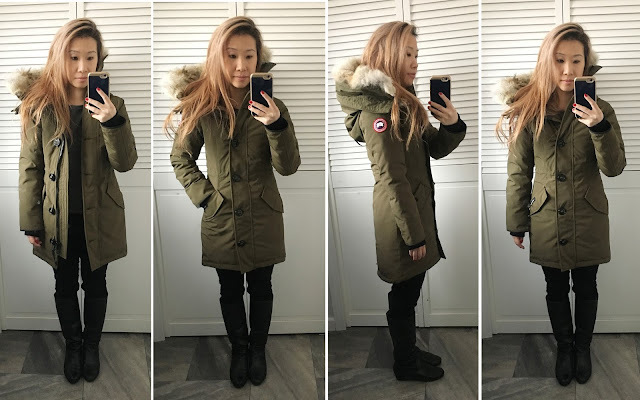 At the same time, I also purchased another coat by Salad (pictured below) with a detachable vest that I like to wear on the weekends with casual wear. The only thing I wish is that the sleeves are lined because though it's warm overall, my arms are usually cold when wearing this. It was a great jacket to wear to Iceland, when I went at the end of August of 2011. I unfortunately wasn't able to see the aurora borealis at that time and still won't be able to see it when I go to Alaska next year but it's one of my goals to see it someday. 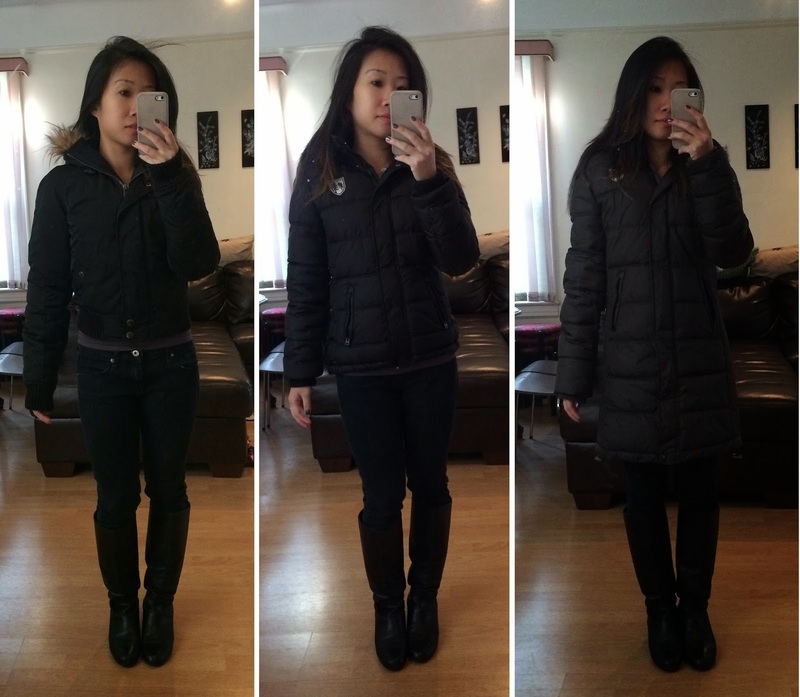 Two years ago, I went on a shopping spree to purchase warm puffy coats that fit and ended up buying and keeping three puffy coats from American Eagle Outfitters. The sleeves on all of them are a bit long though manageable. I did get the sleeves of the center one below hemmed but it's difficult for a tailor to do so will leave the others as is. Honestly, I do think I am a bit old to be wearing this brand so I appreciate how the logo is subtle. These are old but here is this year's version of the AE Classic Puffer Parka and AE Cropped Puffer. In addition to those, I splurged on a RLX girl's puffer coat a couple years ago too that I don't wear as often as I should, considering how much it cost. 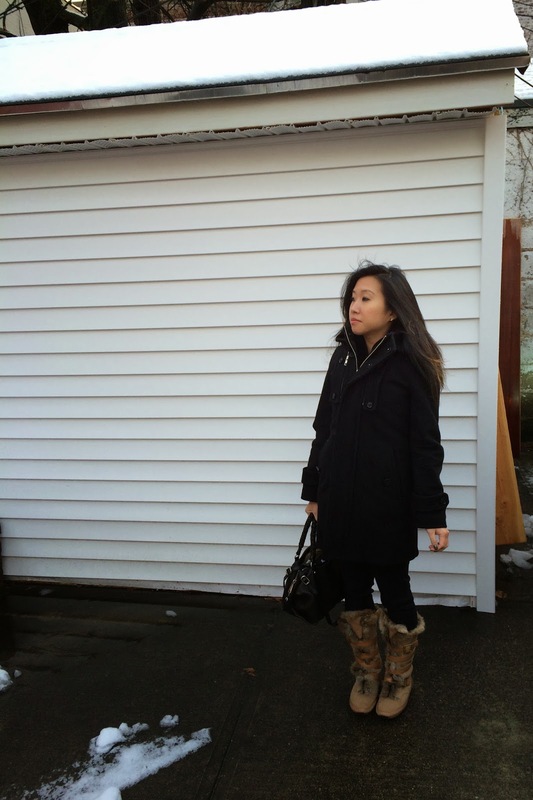 I also own a peacoat from ESPIRIT Hong Kong that I wear often to work to avoid wearing down my Salad wool coat. Left: RLX girls puffer. Right: ESPIRIT Detachable Hood Toggle Coat. LOFT and H&M make jackets that fit pretty well on me too but I have to say that I'm most happy with discovering how well Burberry outerwear fits on me. 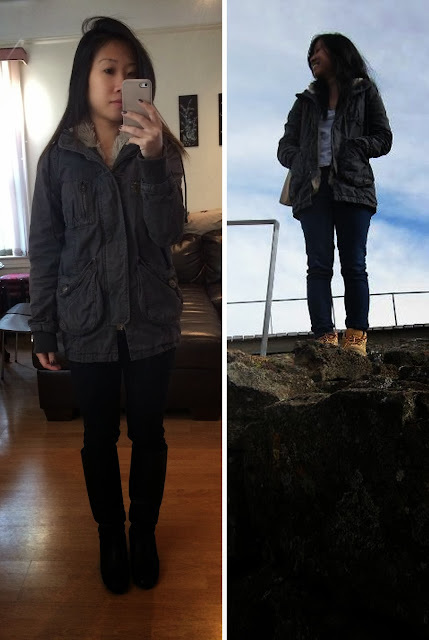 My first experience with Burberry is this girl's Burberry Anorak that I purchased two years ago. 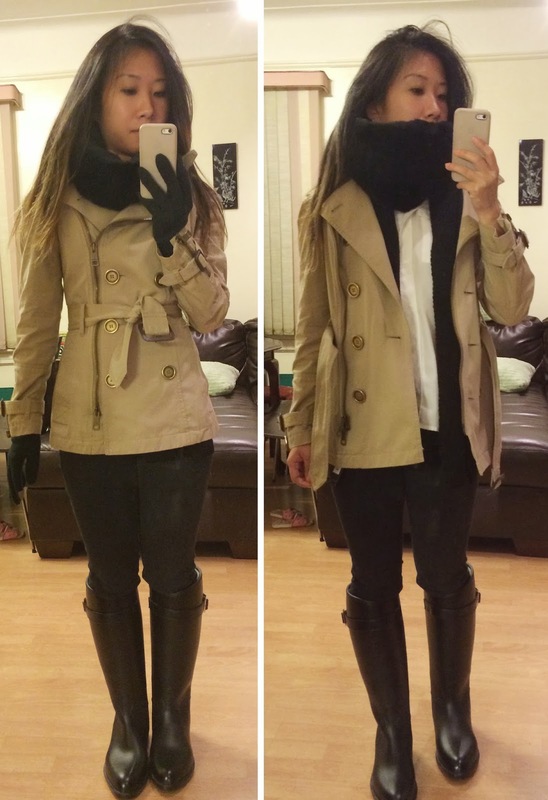 I absolutely love it and still wear it very often during the Spring and love to layer with it in the Fall. The sleeves are very versatile because they are be folded up or down as you can see in the photos below and are great for me because I get hot very easily. 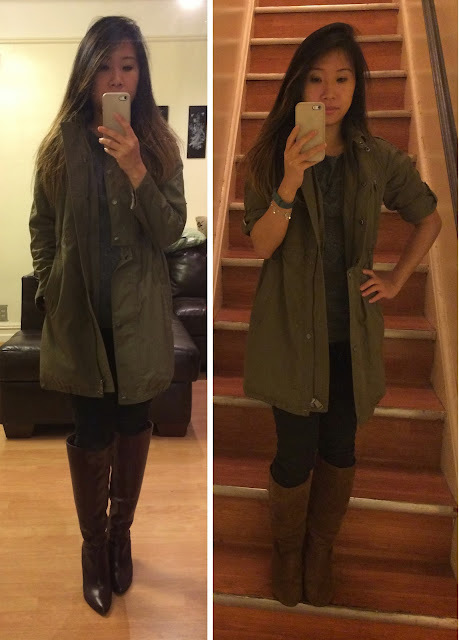 Last year, I learned that some Burberry Womens' trenches in size 2 actually run small and their stores offer free alterations. I decided to look around in a Burberry Brit store while shopping and fell for a trench that is a bit different than their classic ones because there is an asymmetrical zipper and metal hardware. A nice sales associate (SA) told me to wait a week because it was going on sale so I luckily purchased it for a lot less than I was anticipating but unfortunately, they didn't do a great job with the alterations of shortening the sleeves. The job was very sloppily done and it is important to note that there may be holes left behind when you tailor gabardine trenches. Since the sleeves were still a bit too long on me anyway, I took it to another Burberry location that fixed it by shortening it some more so it's perfect now. In addition to shortening the sleeve length, I should have raised the belt loops and I do wish they could have somehow slimmed the shoulders but I'm hoping it will conform to me more with more wear. 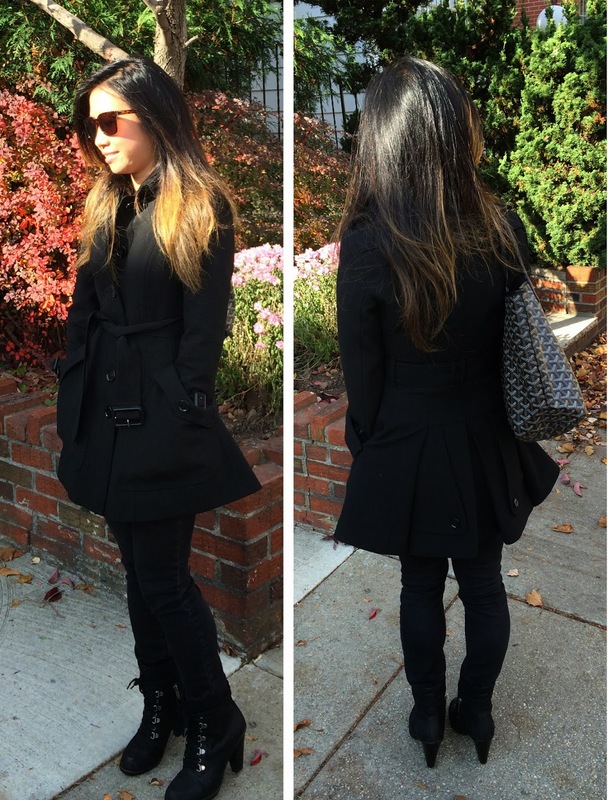 This year, I fell for yet another Burberry trench, the Burberry Billington Peplum Jacket, which I have mentioned here. 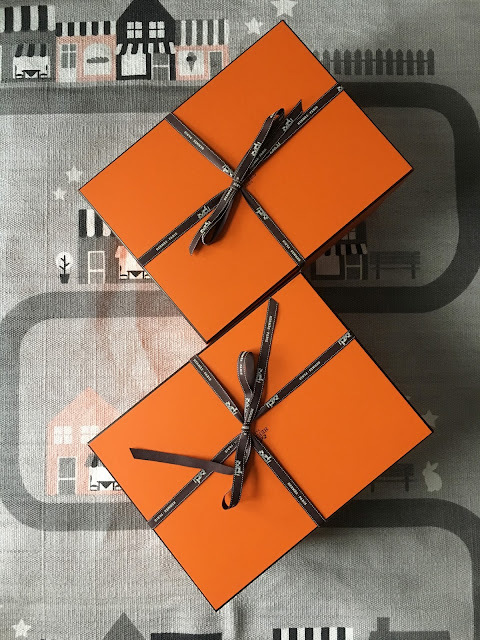 I love this one very much because the material is a nice and comfortable thick cotton-like material, unlike my other two, which are made of much thinner gabardine. The fit of the sleeves is much more flattering than the trench I purchased last year and the peplum flare is very unique. 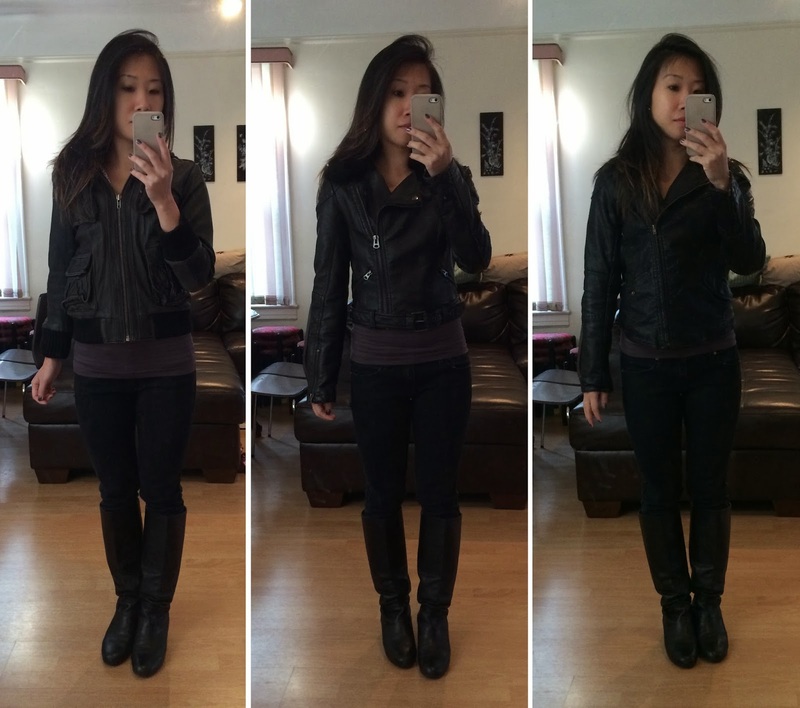 The only alterations I had done were to shorten the sleeve length and raise the belt loops. I purchased this during Saks Fifth Avenue's Friends & Family sale so I got it for 20% off but did have to pay a small alterations fee. Left to right: Salad leather jacket, Topshop Petites faux leather jacket (old but updated version with white fur here), Zara Girls faux leather jacket (old but similar here). On a funny side note, I was walking home from the train station last night and I couldn't help but ask the young woman in front of me where she got her coat because the fabric looked so nice like J.Crew's yet it fit her small frame so well (and I was able to see the lining was a cute pattern too). When she laughingly told me it was from Crewcuts, I was pleased with my intuition. I think she may have had on the Wool-Cashmere Bow Coat, which is sold out in all larger sizes so I've decided to try to keep an eye out for one in Black next winter (I'm not sure if she did but I would remove the bow). 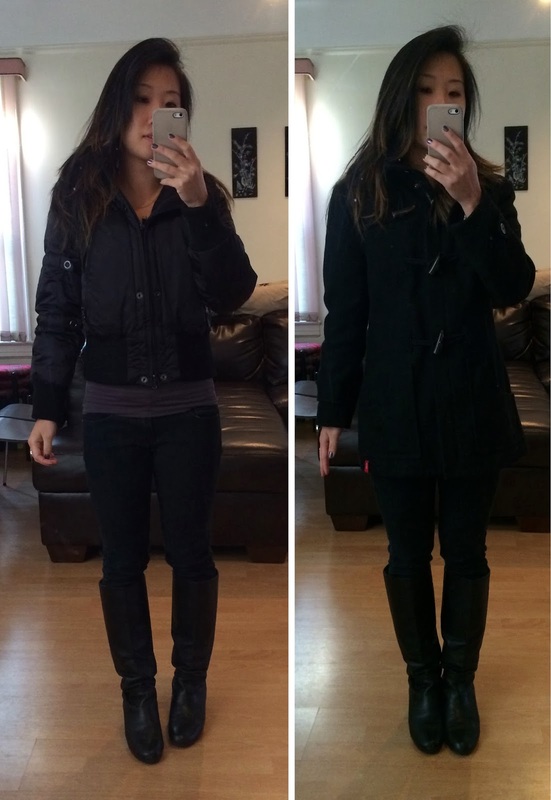 I hope all of this helps you if you're looking for coats/jackets that fit (pretty much) off the rack! Leaving you with the fortune cookie quote, "Everywhere you choose to go, friendly faces will greet you." Throwback Thursday: Jamaica + Archery!